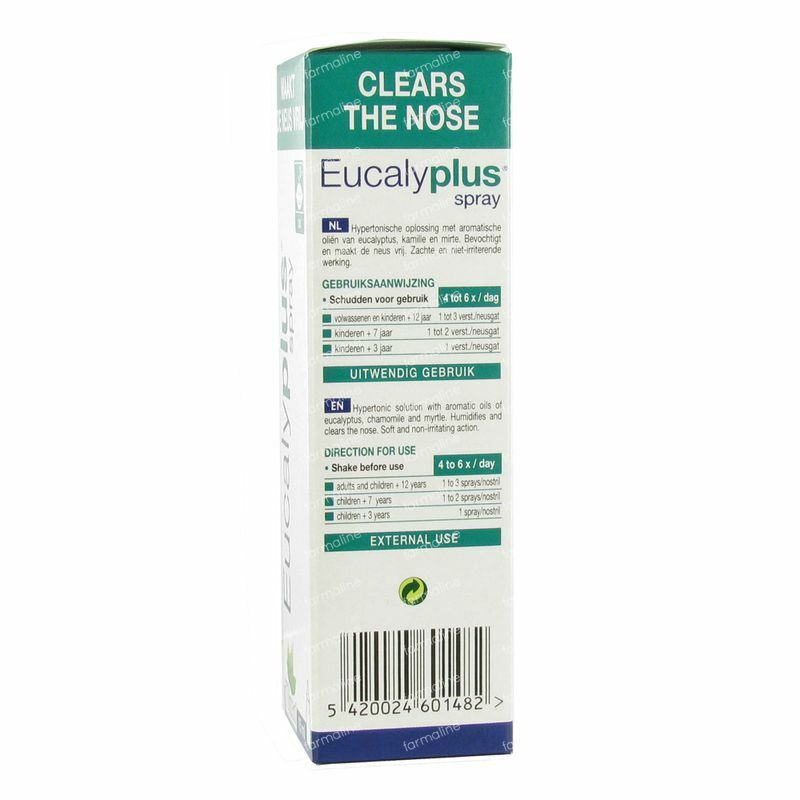 Eucalyplus Nose Spray 15 ml order online. for clearing the nose in cases of nasal congestion and as additional treatment for colds and allergic rhinitis. for gentle hydration of the nasal cavities when the mucous membranes are dry : dust, dry, polluted, smoky or air-conditioned environments. Eucalyplus contains hypertonic water with aromatic oils of eucalyptus, chamomile and myrtle. This nose spray is perfect for clearing the nose, for cleaning the nose and for gentle hydratation of the nasal cavities. The non-irritating formula of Eucalyplus can be used regularly, completely safely. Rinse the nozzle with clean water after each use. 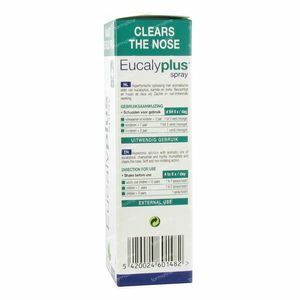 The non-irritating formula of Eucalyplus can be used regularly, completely safely. Eucalyplus contains hypertonic water with aromatic oils of eucalyptus, chamomile and myrtle. INGREDIENTS: Aqua physiol. q.s.p. 20 ml. - Glycerol. - Polysorbat. - Eucalypti radiat. ol. - Chlorhexidin. diglucon. - Benzalkon. chl. - Myrti commun. ol. - Anthemis nobil. ol. Good alternative to a nasal spray which contain ingredients which persons with a cardiac arrhythmia can't tolerate. I can use this product without any troubles.